The movie matinee at the Epsom Library on Wednesday, May 9 at 1:30 is “The Post.” Based on a true story, Meryl Streep stars as Washington Post publisher Katherine Graham and Tom Hanks stars as Ben Bradlee, the Post’s editor. They team up at the risk of their careers to expose a decades long coverup and bring the truth out in the open. Ivy Green Rebekah Lodge #36 is hosting a Harry Potter “Hogwarts Feast” at the historic Odd Fellows Hall in Epsom on Saturday, May 5th 6pm. The event will feature a “Harry Potter” inspired buffet and special activities including a potions making station. Guests are encouraged to dress up as their favorite character. Proceeds from this event will be used to benefit our local outreach projects. Reservations are required and the event is for ages 8 and up. Tickets are $10.00. Call Vickie at 736-4707/496-1877 for tickets and please leave a message or message me on Facebook. Epsom Public Library Celebrates Children’s Book Week April 30th – May 6th Please plan to visit the library and choose a free book for your child’s home library. We will have a large selection of children’s books to pick! Special thanks to the “Friends of the Library” who generously donated these books! We will also have stickers, and bookmarks for the children. Story Times will feature books by many of our favorite author’s. Please join us for the fun! This week, my committee voted out all remaining Senate bills. Most were amended to fix problems identified at the hearing, or incorporate good ideas developed in subcommittee. SB 581, on compounding medications, was amended to clarify that reconstituting a powdered medication for infusion was not compounding, and passed 17-1. SB 487, formalizing the state substance abuse treatment program, had some language tweaks, and passed, 19-0. SB 461, continuing education for real estate licensees, was amended to only affect the first renewal, since the problem was inconsistent training of new agents, and passed, 19-0. SB 477, establishing a medical oversight board for the medical marijuana program, passed 16-3 with the opponents concerned with creating more government structure. Then there were some contentious bills: SB 570, adding substance use disorder treatment to the “work” qualification for a child care scholarship, was not killed, 9-10, then amended to require medical verification of the treatment programs and passed, 11-8. I was in the minority on this one because I felt that the bill had an undisclosed cost impact and created an open-ended entitlement. SB 589, regulation of certified recovery support workers, had its primary content consolidated with SB 487, so I created an amendment to replace it with part of another bill which had died in the Senate. That bill, HB 1685, had been a partisan battle in committee and on the floor, and the opposition to the amendment was on party lines: it passed 10-8. SB 334, on temporary licenses, was amended to provide safeguards for the temporary licensees and to include specific temporary licenses for allied health workers, which had been the original subject of the bill. This amendment, and the bill, passed 11-8, also on party lines. In an effort to help manage the cost of clothing for our community families, the Epsom Bible Church will be holding a free clothing swap on Saturday, May 19th, from 9-12 noon at 398 Black Hall Road in Epsom. You may bring donated clothing beginning at 8:30 am. Clothing donations are not accepted prior to the event. All clothes need to be clean and in good repair, and separated by size and gender. No rips or stains please. Both adult and children’s clothing are accepted. No toys, equipment, or furniture please. Clothes will be sorted and distributed to tables by the person dropping them off. Once clothes have been sorted and distributed, you are free to begin gathering clothing in the sizes you need. Any clothing left at the end of the swap will be delivered to a local charity drop off site. Volunteers for the clothing swap would be appreciated. The swap will run from 9:00-12:00 noon. Volunteers are needed. You do not need to make a clothing donation in order to take clothing for you and your family. Call Joanne Randall at 344-8843 or Taryn Bassett at 234-9451 for more information or if you are interested in volunteering. The Inn at Deerfield presents Managing Symptoms of Alzheimer’s Disease and Dementia by Alicia Seaver on May 8, 2018 at 6:00pm. Alicia has more than 20 years of experience in the senior living industry. She is certified by the National Institute on Aging as a Memory Impairment Specialist and is state certified in MA and FL as an Alzheimer’s and Related Dementia Trainer. She is currently the Vice President of Memory Care Operations at Bridges® by EPOCH memory care assisted living communities. She also serves as an educator and trainer for both their families and staff. Alicia is truly committed to making a difference in the lives of seniors and their families. For more information, please contact The Inn at Deerfield at 603-463-7002 or kelly@innatdeerfield.org. RSVP encouraged but not required. The Inn is an equal opportunity employer and provider. 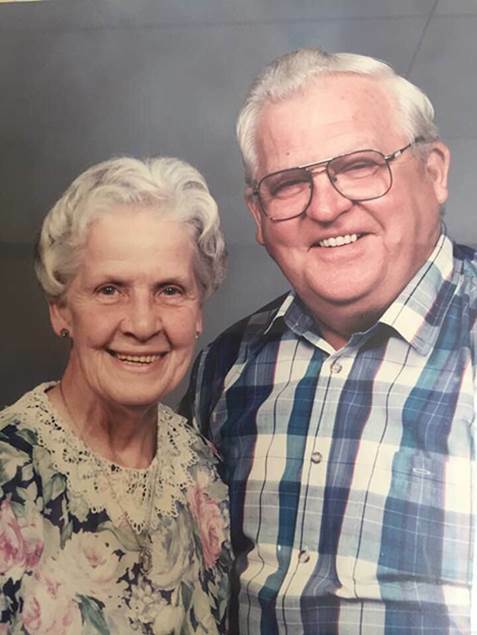 Clive Babkirk Sr., 89, of New Market, VA passed away peacefully on April 22, 2018 as did his wife of 70 plus years, Lois Babkirk, 91, on April 24, 2018. Their love story began September 21, 1947. They owned House of Kirk in New Market where they created fine furniture and gifts since 1986. Their business was formerly in Epsom, NH from 1968 until 1985. They were preceded by their son Dale. They are survived by their children Clive Jr and Susan Babkirk, Dianne and Steve Fraits, Darbie Demers, Cheryl and Pete Kollett along with 9 Grandchildren, 13 Great Grandchildren, and 1 Great Great grandson. Grandle Funeral Home in Broadway Virginia is in Charge of arrangements and Services will be at a later date in Epsom. Epsom- Gordon W. Elkins, 88, left this earth, April 26, to join his beloved wife Joan...the woman he had loved for 63 years. He was born August 16, 1929, in Concord NH, son of John H Elkins and Sybil (Corson) Elkins. He spent his younger years in Concord and Loudon. He was an avid hunter and fisherman, most always bagging his deer on the 1st day of the season. He proudly served his country, in the Army Air Force, and was a member of the American Legion post in Epsom NH. After his service, he went to work for Cook Tree Service, trimming trees along the utility lines. While working in Northwood, a chance stop at the Ridge Store for lunch, he set his eyes on a beautiful blue eyed girl, the store keepers daughter, Joan, who would later become his wife. They married May 28, 1955. They bought the house down the road from Joan’s parent’s house, and that road was later to become Elkins Road. After working for a time at the Eastman’s Foundry, in Concord, he went to work for the Concord Electric Company. To the other linemen, he was called “Hoagy”, and he donned his hooks and climbed the utility poles, until CECo bought their 1st bucket truck. Later on, he would become the foreman of his own truck, he named the “Super” truck, and sported the SUPER MAN S logo, on the grille. He loved his job, and worked for Concord Electric for 37 years. He enjoyed snowmobiling with his wife, and they had many excursions, with their friends. He took his family on Camping trips throughout NH and Maine, from the beach to the mountains. He was a member of the Pahagans Mens Club, where he and his family spent many summers camping at the club’s campsite on the Soucook River. He played softball, and could throw a mean horse shoe, and was always ready for a good Cribbage game. 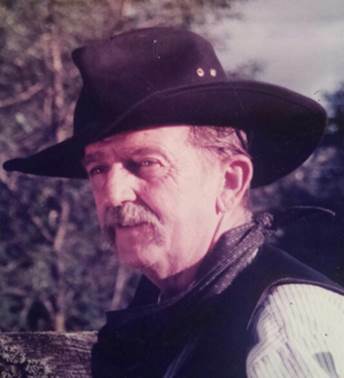 He was a member of the re-enactment group “How the West Was Fun” where he played the part of the Sheriff and the group performed at the Hopkinton Fair, nursing homes and other venues. He and his wife volunteered as chaperones, for the 4H club, the Gilmanton Gallopers, at the NH State 4H Horse Show at the Deerfield Fairgrounds, where his granddaughters showed their horses. And Gordon was most happy, when he would head out to the woods, wielding his chainsaw, where he would cut his winter cordwood, on his land where he knew every tree and rock, on the property. After retirement, he bought a home in Barefoot Bay, FL, where he and his wife would spend their winters, coming home to Epsom for the summer months. In 2008, he lost his beloved wife of 53 years, and moved to Chichester, to live with his daughter and family. And once again he would enjoy camping, when he decided to get a seasonal campsite, at Great Meadow Campground, where he loved riding around the campground on his scooter, in search of anyone who would play a game of cribbage. And he loved participating in the “Pub Crawls” the campers would put on. He was camping at Great Meadow Campground, when his health took a turn, and from there he went to reside at the Epsom Healthcare Center. And by far, the most important job he ever held was the job of a generous and loving Grandfather, and Great Grandfather. He was predeceased by a brother John Elkins of Concord, a sister, Madeline (Elkins) Drew of Chichester, his wife, Joan (Shaw) Elkins, of Epsom and his daughter-in-law, Patriciia Elkins of Portsmouth. He is survived by his brother, William Elkins and wife Carole, of Pittsfield and sisters Sally (Elkins) Feathers, of Concord and Mary Lee (Elkins) Seibert, of Contoocook. He leaves his children, daughter Jane (Elkins Volpe) Stock and her husband Gary Stock,of Chichester, NH. And sons, Paul G Elkins of Portsmouth, and James M Elkins and his wife Michelle (Pothier) Elkins, of Hobe Sound, Florida. He leaves his grandchildren, Victoria M. Volpe, of Pittsfield. Captain (USAF) Carrie J Volpe, of Osan AFB, South Korea. Boomer (Dennis) Volpe and his fiancée Nikki McAlister, of New Durham, NH. Andy Hirko and his wife Kristy of St Augustine Florida, Lyndsay (Hirko) Bouzakine and her husband Tony, of Portsmouth NH and Toran J Elkins and partner Cristina Pisciotta, of Stuart Florida, and Ashley Elkins of Hobe Sound Florida.He also leaves great grandchildren, Kennedy Bouzakine of Portsmouth NH, Scarlet Elkins, of Stuart Florida, and “GranDad’s” scooter Chauffeur, Slap Jack partner, and best buddy, Zave (Xavier Gordon) Volpe, of Pittsfield NH. Care of the Elkins family has been entrusted to J S Pelkey Funeral Home.